make professional cartoon videos with ease. Animiz, the free cartoon movie software, makes it super easy to start a cartoon video with multimedia and animation. 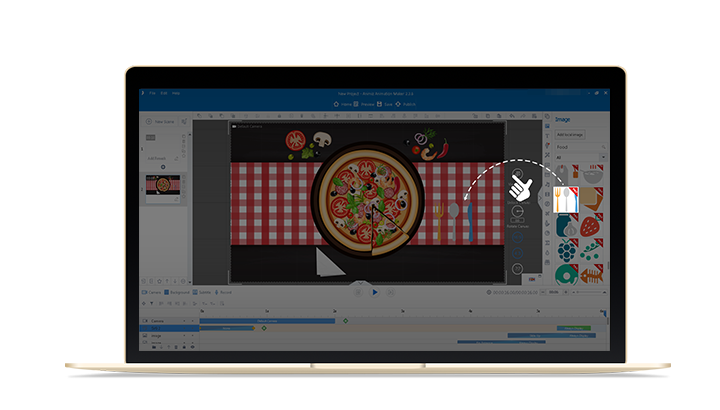 No matter you are beginners or professionals, all your ideas would be achieved in this interactive animated cartoon video making software. 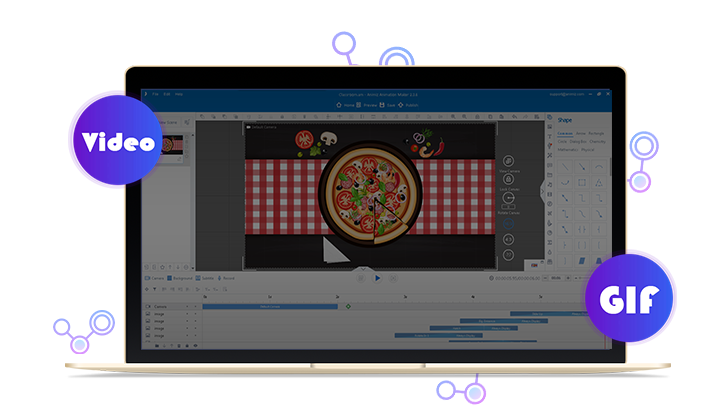 You can start from a pre-designed template, and decorate the video with various kinds of elements. 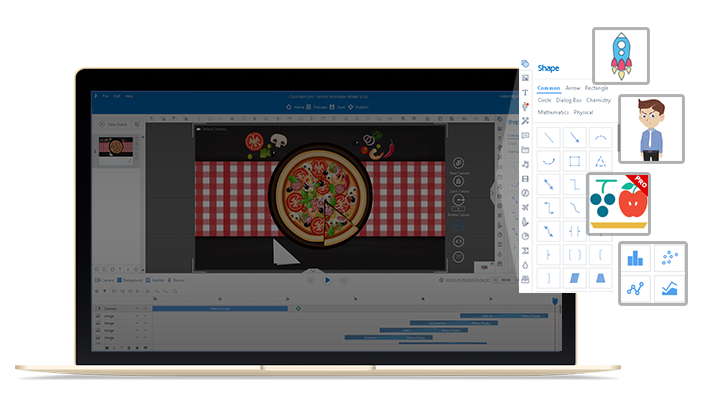 Actually, you would find many other built-in materials for you to choose from, such as animated roles, vector images, shapes, scene templates. Worry about how to add kinds of multimedia into your video for further embellishment? Animiz makes you simple to add elements with drag-and-drop function. In its drag-and-drop interface, almost everything can be moved into your video easily and quickly. You have no worry about the difficult technology of add multimedia. Besides, it would save you much time in making and designing your cartoon video. 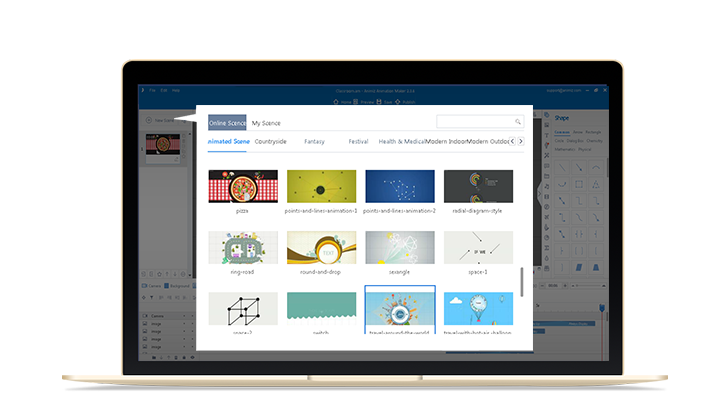 There are tons of free materials available in Animiz, helping you feel at ease during designing. Make a professional cartoon video with the lowest cost. Start from choosing a scene template. Add a music as background sound is so considerate. In addition, there are other materials should be added to decorate and enrich the video contents. Combine the animated roles, recording and callout together to make a complete easily. Along with the animation effects, you can get a stunning carton video as soon as possible. The final step of creating the cartoon video is to publish it and share it to your audiences. Here are three ways for you to choose. Firstly, publish it to cloud to allow others view your great work online. Secondly, publish it as video format. You can view it offline or send the video to audiences. Thirdly, save it as GIF format, which make you easier to share and open it.